The first half of this year has been a bit manic with lots of commercial work coming in and little time for anything else. So we’re sort of working backward here (sorry) but we wanted to tell you about our 15 minutes of fame. 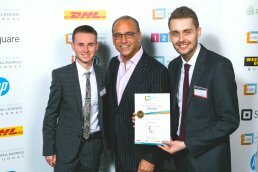 In February we were invited to the annual SBS event held at the ICC in Birmingham, the event is a full day of workshops, presentations, networking and a chance to meet Theo Paphitis (the brains behind the community) and pick up our certificate in person (with an obligatory photo of course). The day surpassed all expectations for us and was a great opportunity to learn from other small business owners. We were featured in our local newspaper when we first won but our story was picked up again after meeting the man himself. It’s always humbling to be featured in our local paper, we were brought up in the area and work with many local businesses and therefore hope that people are genuinely interested in our story. We would like to say a special thank you to Karen Hambridge who has now written several pieces on Brio for the Hinckley Times. 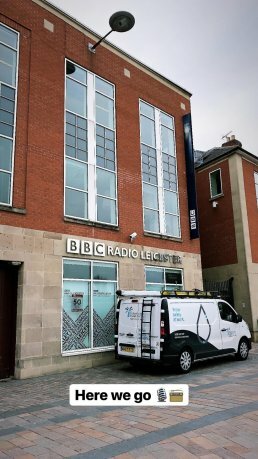 Following on from our newspaper article we were contacted by BBC Radio Leicester. The message dropped while in a meeting which led us to grin like small children, the Client must have thought we were mad. But it was a really exciting opportunity for us and something we hadn’t done before. We were booked to appear on the morning show with Ben Jackson on Friday 6th April. Although a little nervous the interview went really well and was great fun, it was only short but we got to talk about the business and our SBS win. Listen to a snippet below. 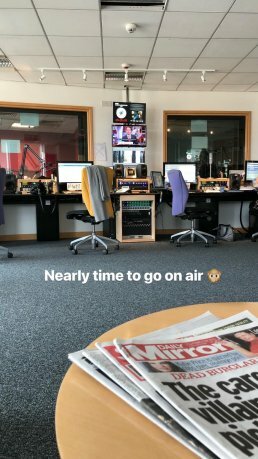 We’ve always joked that we should be on the radio or have our own podcast, the two of us can talk about nonsense for hours. But it’s very different when there’s a microphone in front of you and there are real people listening. At the start, we were like rabbits in headlights but we soon warmed up and could have talked forever about Brio and our journey. 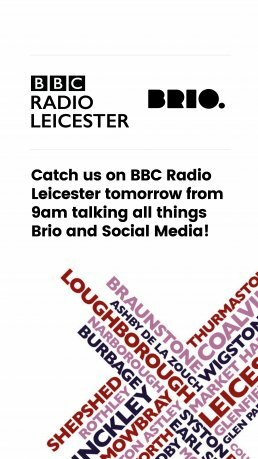 Watch this space we might produce a podcast one-day – Brio FM. Thank you to Jack Rafferty for arranging the interview and Ben Jackson for interviewing us. So that’s it just a quick update, back to work now.